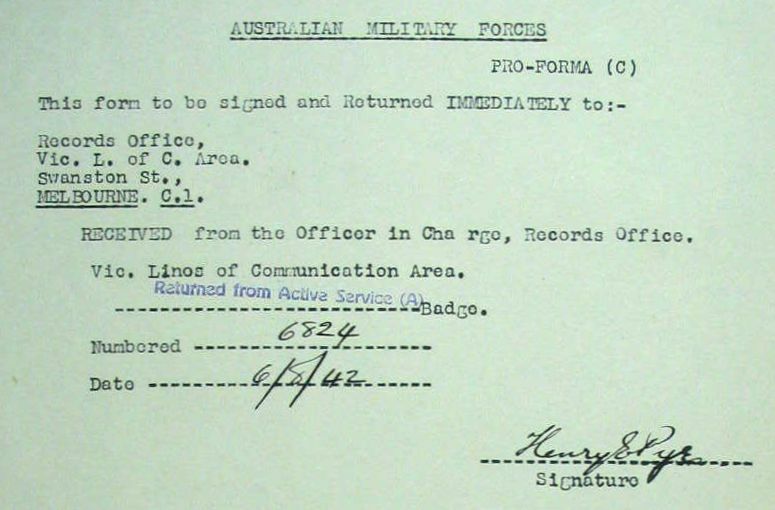 Typical Australian Army service form. 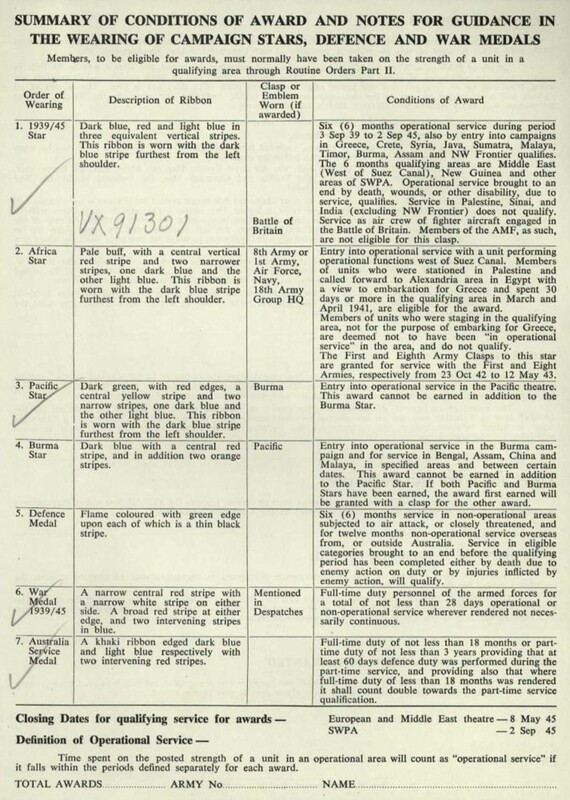 This one is easy to read but most notations were in script (entered by hand). 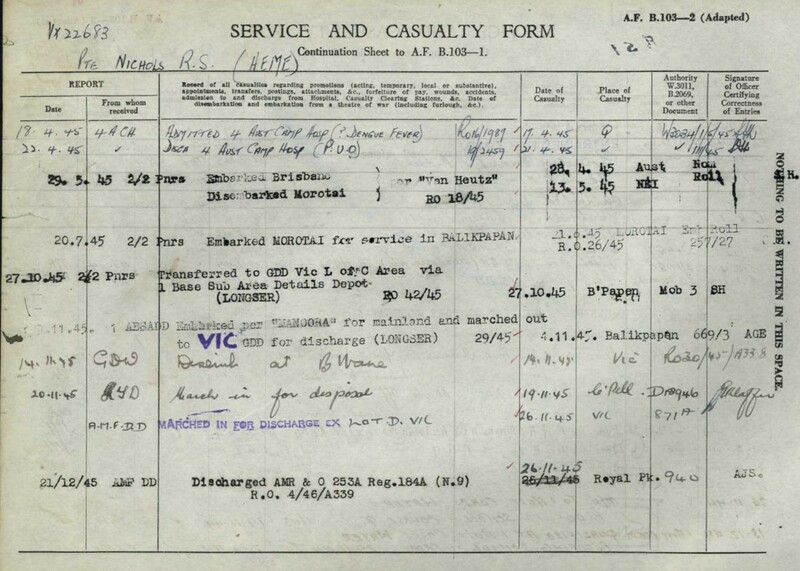 A typical Williams Force record maintained on the Burma Railway. Courtesy of A. Snow at Kanchanaburi, Thailand. 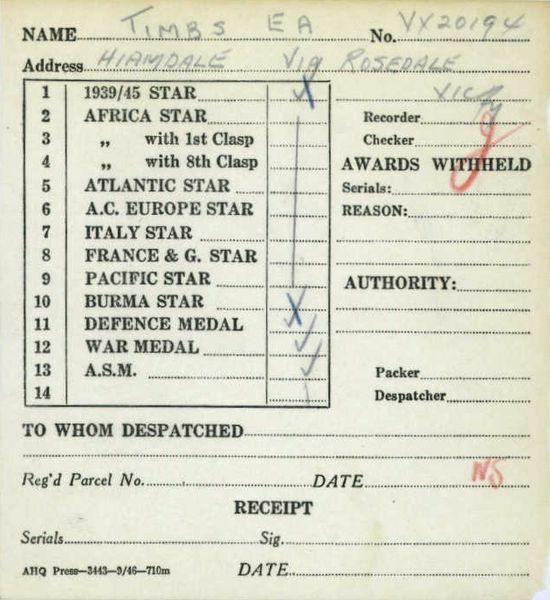 Officers record of service form. 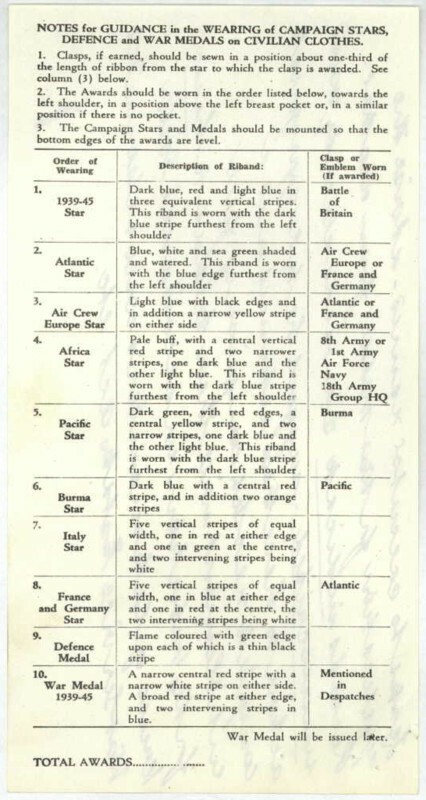 Service medals definitions. 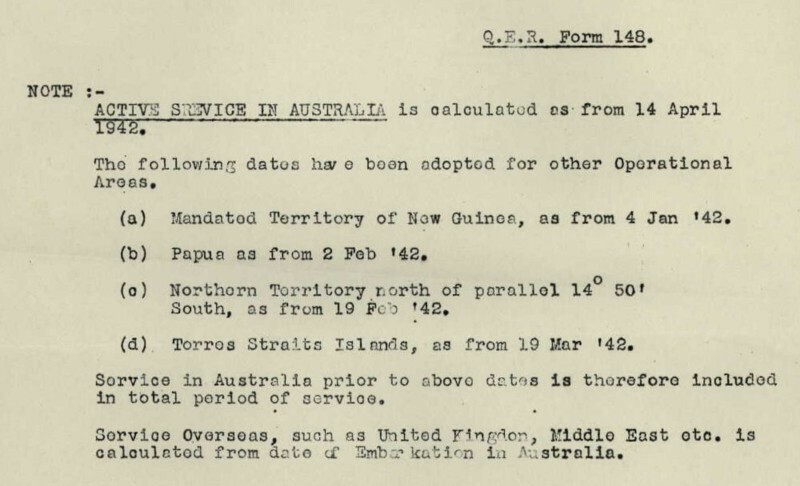 Note that the Africa Star definition has been changed recently to include soldiers involved in the Syrian Campaign but has not automatically been issued / awarded to all soldiers. 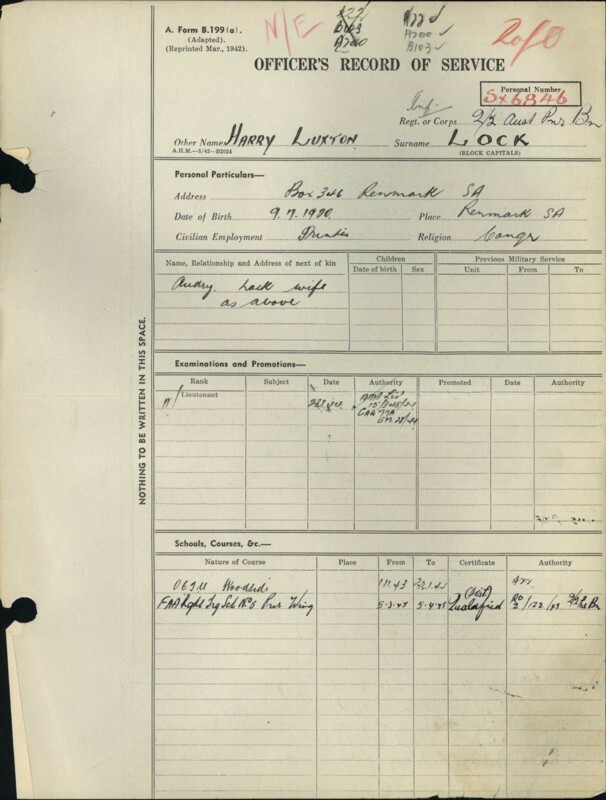 Contact the 2/2 Pioneer Association or the R.S.L. for more information about eligible soldiers. 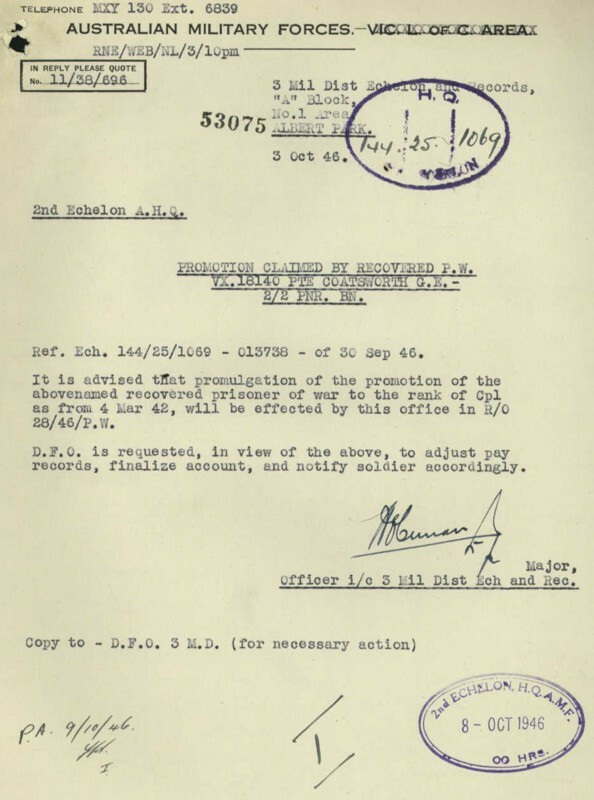 Instructions for wearing of medals. 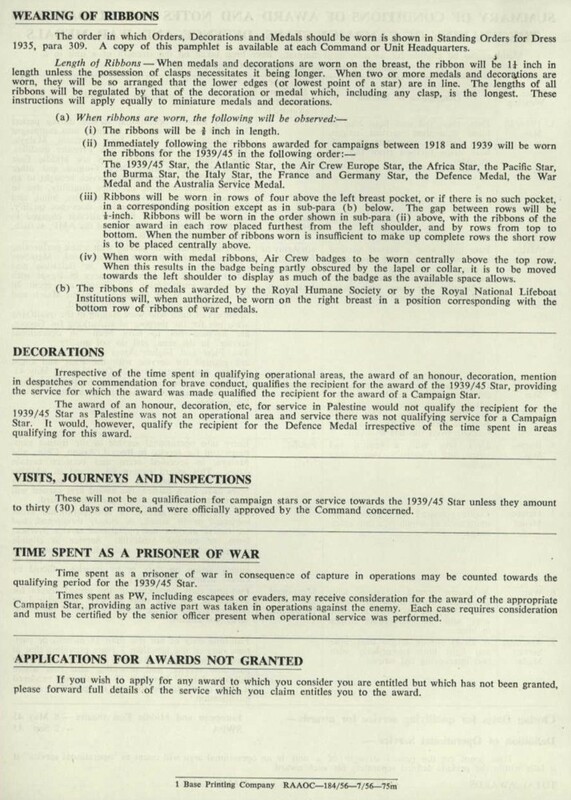 Instructions for wearing of medals on civilian clothes. 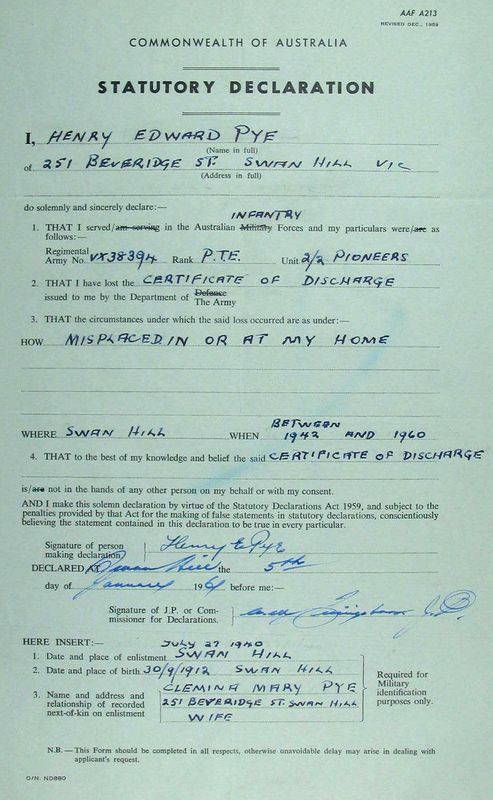 Statutory declaration form for lost medals. Returned from Active Service badge process form. 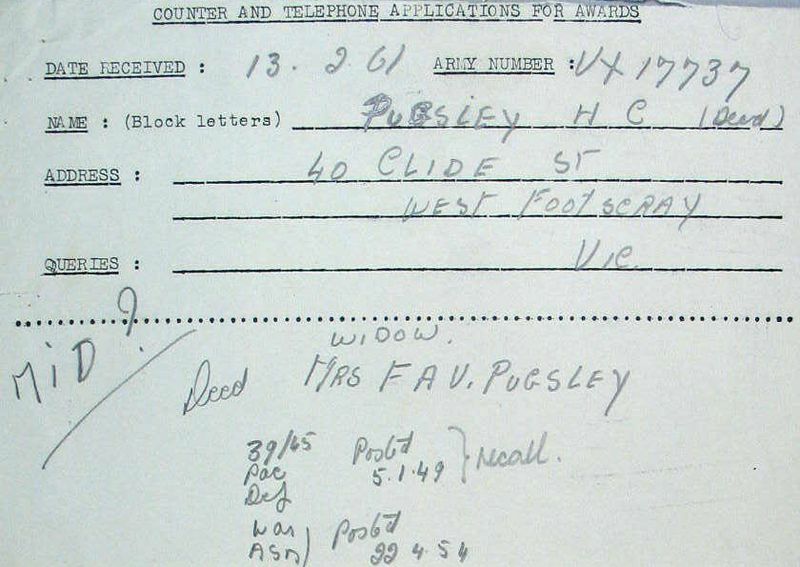 Counter and telephone award applications form.